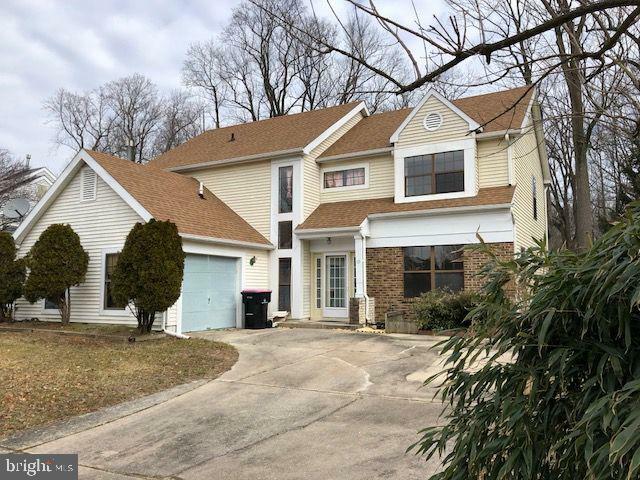 All Clementon homes currently listed for sale in Clementon as of 04/20/2019 are shown below. You can change the search criteria at any time by pressing the 'Change Search' button below. 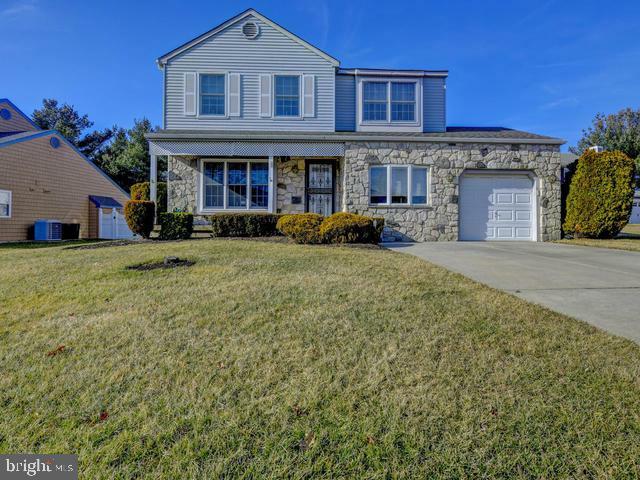 If you have any questions or you would like more information about any Clementon homes for sale or other Clementon real estate, please contact us and one of our knowledgeable Clementon REALTORS® would be pleased to assist you. 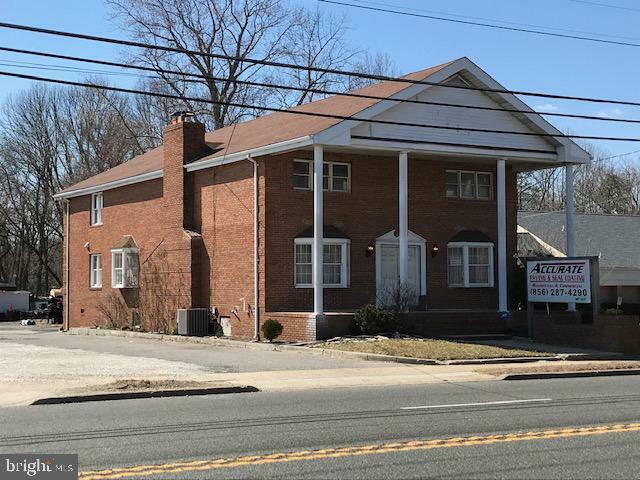 "Builders,investors, developers... Prime high ground to build on in Gloucester Twp, contained within lots 7,9,10 and 28 in Block 20601, Currently a Q farm of 11.3+/-acres with frontages on both Chews Landing Rd (228Ft) and Kelly Driver Ln. (see tax map)Dwelling on lot 7.No Value to dwelling. Being sold as is. Buyers responsible for all cert and approvals. Seller will pay any and all roll back taxes if needed. NOTE: This property can not be sold before 63 Kelly Driver land of 11 acres MLS 6654580. Kelly Driver land may be included in the sale of this listing on Chews landing road. This is due to the storage of the farm equipment." "OPPORTUNITY KNOCKS!!! 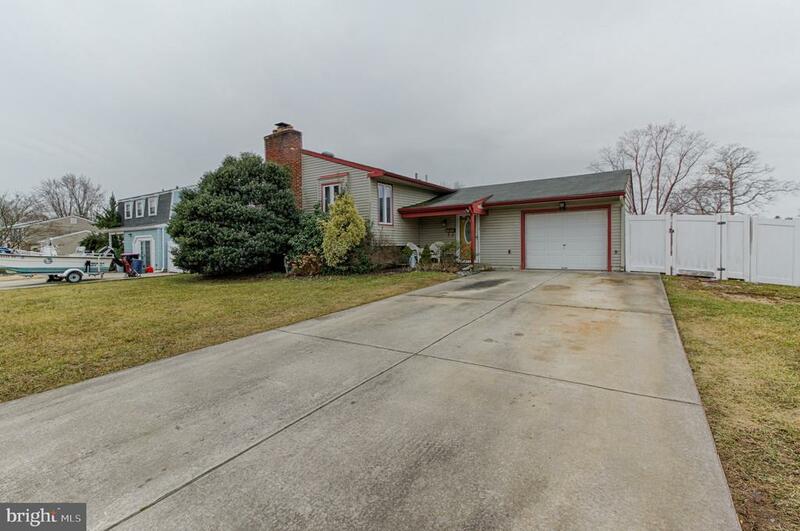 Is it a dream of yours to own a 2800 /- square foot home 3.75 acres, 7 stall horse barn, heated party room/garden center and a TURN KEY BUSINESS located in the heart of Gloucester Township? TOOT'S FUNNY FARM offering kiddie parties, petting zoo, pony rides, two merchantable licenses, one for the animals and the other for a garden center is finally ready to retire after 40 years. They are working with third generation families and all business is word of mouth, referrals, bookings from parties, so much opportunity here! Imagine what you could do with this established entrepreneurship? What a fantastic work from home business opportunity!! All ponies, and animals, outbuildings, supplies will be included with the sale! 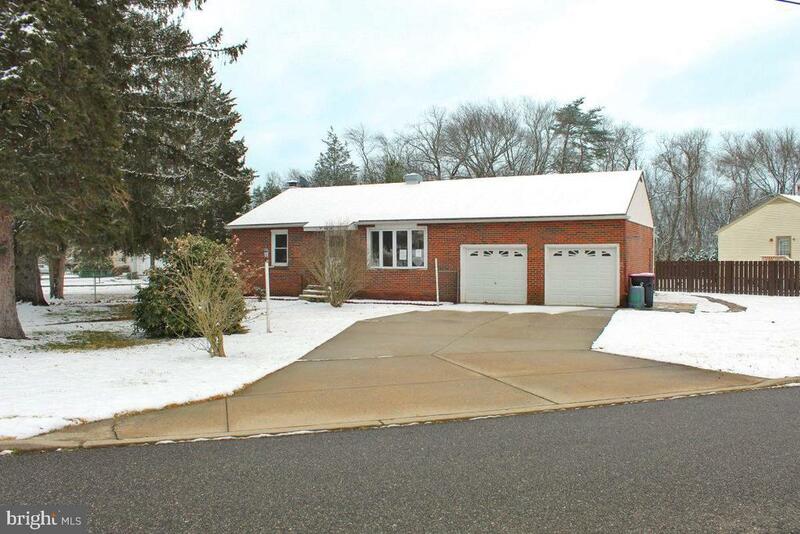 The home consists of 4 beds, 2.5 baths, an oversized family room with full wall brick fireplace, huge laundry room, garage and a half, full finished basement, an updated kitchen, and a bright sunroom just off the kitchen. The 48x24 party room/ garden center is heated, has Central Air Hookup, electric, ceiling fans, and running water, and two double door entries. The barn can house up to 14 ponies with its seven stalls, tack room, and duck work for central heating if you want to add it again. Live where you work and LOVE, LOVE, LOVE what you do!! Easy access to major highways and shopping! All of this in a highly populated location with plenty of visibility! Call today to learn all details and schedule your private tour!! DON'T MISS OUT!!!" "9 Laurel Wood Court has it all! Location, space and price. Situated on a quiet Cul de Sac surrounded by elegance, this 4 bedroom 2.5 bath colonial is secluded on 1 acre lot backing up to woodlands. With some vision and elbow grease this 3,000 sq ft property is waiting for new owners to claim this home. Enter through the foyer and immediately be welcomed by ample space for entertaining. Living room, dining room and side office have solid hardwood floors and larger than life windows allowing natural light to flow in. Oversized kitchen with stainless appliances, hardwood cabinets and eat in area are nicely sized for parties and lead right out to the rear deck with an amazing view. Huge living room with vaulted ceilings over 18ft high and gas fireplace. Make your way to the 2nd floor with larger master bedroom and master bath. 3 ample sized bedrooms and full hallway bath. Need space for storage? The basement and garage allow for over 2000 sq ft of endless possibilities. Basement has a slider door out to the backyard. Schedule your appointments today for the opportunity into this sought after development." "Dont Delay! This is a one of a kind house and ready for new owners. Old wold charm meets todays modern conveniences in this wonderful house. This home has been updated over the past three years and the owners attention to detail will wow you. The home is situated on over a half acre lot which gives it a park like setting. Inside the home has been updated to an open floor concept. Updated kitchen cabinets and countertops with gorgeous tile backsplash. Beautiful wood flooring spans the lower level. The lower level has a full bath and additional Office/bonus room. The upper level boasts 3 bedrooms and a full bath with dual vanities. The third level us a huge walk up attic just waiting to be finished for additional space or another bedroom. The basement features a newer heating system and plenty of storage. Out back is an entertainers dream. Beautiful inground pool enclosed in white vinyl fencing. A large gazebo is perfect place for getting out of the sun and having s nice BBQ. Owner has thought of everything for this home. There is even an outdoor shower by the pool. 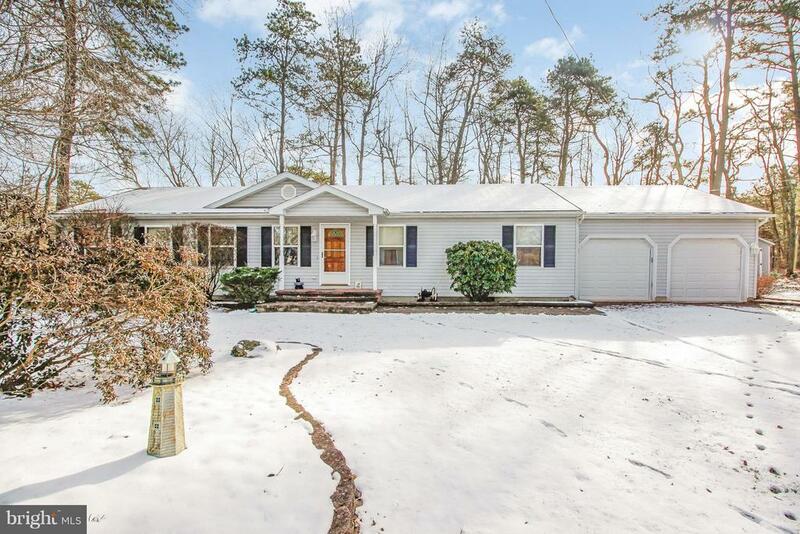 This home features not one but TWO detached garages. Perfect for a contractor and anyone who needs garage space. One of the garages is being used as a part workout area with a man cave on the upper level. The possibilities are endless! The home features a shared access road with an enormous amount of parking. This home is wired with a state of the art security/camera system along with a smart wifi thermostat. There is even a greenhouse built off the side of the home for your gardening pleasure. Words cannot describe how gorgeous this property is. There is just too much to list. Make your appointment today and see for yourself." "Been waiting for that Move In home?? This could be what you've been hoping for !!! Beautifully maintained and updated property in popular Glen Oaks featuring neutral and contemporary grey tones throughout. Three nice size bedrooms on the upper level, eat-in kitchen, dining room, living room and a light filled Sun Room just off the dining room with skylights and access to the raised deck. The inviting lower level is where you'll find the large family room with a gas log fireplace, a 4th bedroom (or bonus room), 2nd full bath and large updated laundry room (2012). The baths are updated, Newer Heater (2012), Central Air (2017), Dishwasher (2015) and Microwave (2018). The home has been wired with a transfer switch so that everything can be powered with a portable generator should there be a power failure. Out back in the large rear yard is a terrific 24 x 16 fully insulated shed/workshop with electric for the wood worker, hobbyist, crafts or man cave. All this and within a short walk to the Gloucester Twp. Community Pool and the wonderful Veteran's Park where the whole family can enjoy the out of doors !! Come and see, you won't be disappointed !!!" 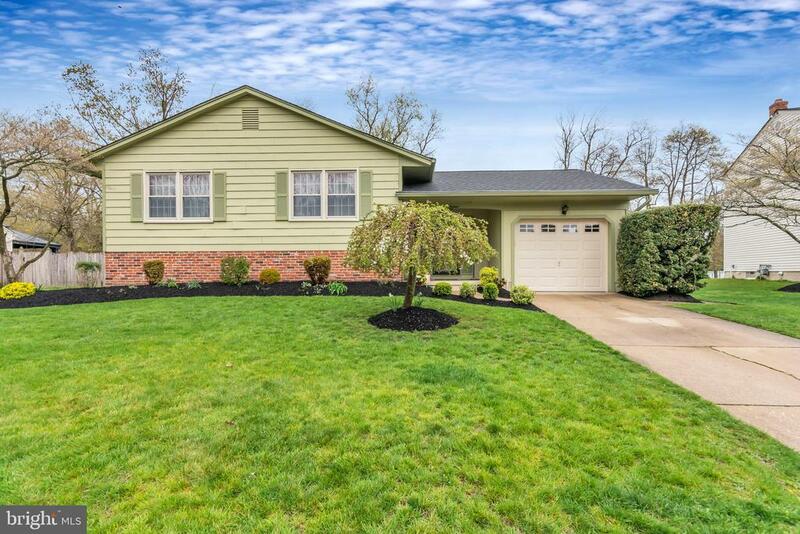 "Must see this delightful custom rancher on a very attractive and well landscaped lot in an amazing community in Gloucester Township. So lovingly built and cared for; this custom 3 BR rancher offers truly an amazing floor plan with formal Living & Dining rooms, a Custom Kitchen with rich wood cabinetry, skylight, granite counter tops, upgraded appliances, adjacent to the very generously sized (21x17)and stunning Cathedral Ceiling (with gorgeous timber wood design), and sliders to the outside areas and custom deck. The first floor offers a wonderful full hall bath with full tub and even a custom skylight. The Master bedroom has a private master bath, and the other two bedrooms complete the design. Enjoy many good times in the very large finished basement, currently finished into two fun rooms so perfect for entertaining and relaxation. In addition, there is plent of storage, a workshop area, a launder area and a walk up door (bilko door). There is also an attached oversized 2 car garage that features such useful space for your cars, outdoor projects and tool storage. Enjoy a most scenic and well landscaped yard. 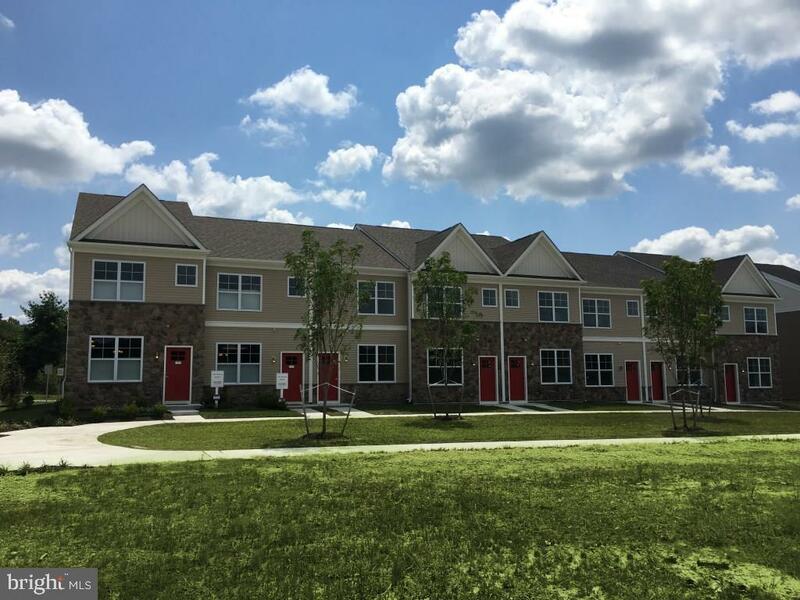 The beautiful community is so conveniently located in the heart of Gloucester Township, close to major roadways yet so still in such a quite and serene location. Come see this wonderful home today~"
"Wow! Talk about VALUE! This gorgeous meticulously kept home is just waiting for you to move in, there is nothing left to be desired! This colonial is situated on a corner lot, beautiful large front porch - with park views across the street. Conveniently located near major highways and shopping. Inside, you have your front living room with wood flooring and large windows. The large eat - in kitchen has plenty of counter and cabinet space and is connected to the dining room and family room. This combination makes a great entertaining space! The family room has a striking brick fireplace, and glass sliding doors that bring you onto your patio and into a beautiful large, fully fenced, backyard, equipped with an inground pool and two sheds. Come and see this beautiful house and make it your HOME!" "Welcome Home! Reduced price! This is your chance to own a fantastic move in ready home at an affordable price. With a classic colonial design, the exterior features an inviting front porch, custom landscaping, and a large backyard. Once inside, buyers will appreciate the neutral updated decor and a wonderful combination of separate formal living/dining spaces along with an open floor plan kitchen and family room, making this home perfect for both casual and more formal entertaining. The kitchen features granite counters, center island, a spacious walk in pantry and a large casual dining space. The attached family room has custom made oak built ins, a gas fireplace and access to the over sized deck. Also located on the main floor is a mudroom/laundry room with ample storage and convenient access to the two car garage. The finished basement, with a beautiful custom built in bar, is the perfect space for a media or game room. There is newer (2017) HVAC and separate finished room on the lower level, ideal for a home office, craft room, or play space. The second floor features a master bedroom with walk in closet and en suite bathroom, along with 3 additional bedrooms and a full bath. There is newer neutral carpeting on the stairs and second floor and seller is offering a credit for the carpets on the first floor which are the kid's playroom and also teh TV room (which were not replaced). The backyard is the perfect space for entertainment and play, with a brand new shed and decorative fence, 32 X 12 deck, and plenty of room to play or just relax. What more could you want? 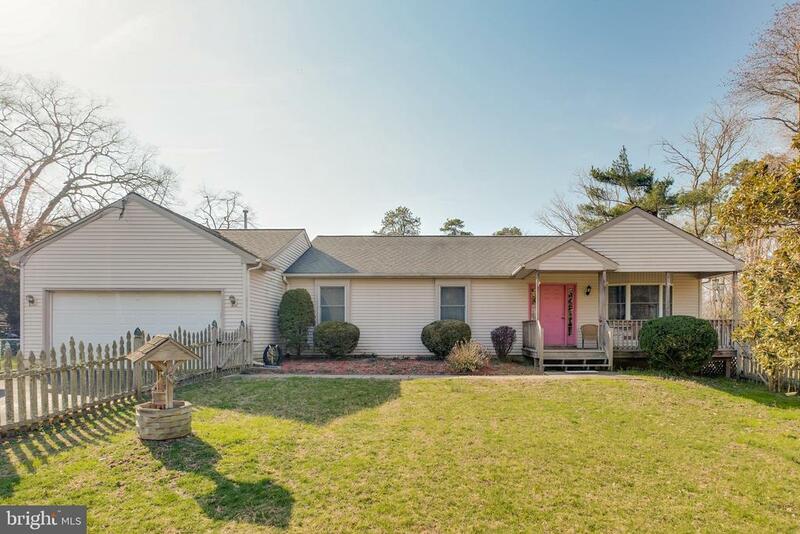 Perhaps a cul de sac location, with easy access to major highways and a short commute to the PATCO station. Make your appointment today." 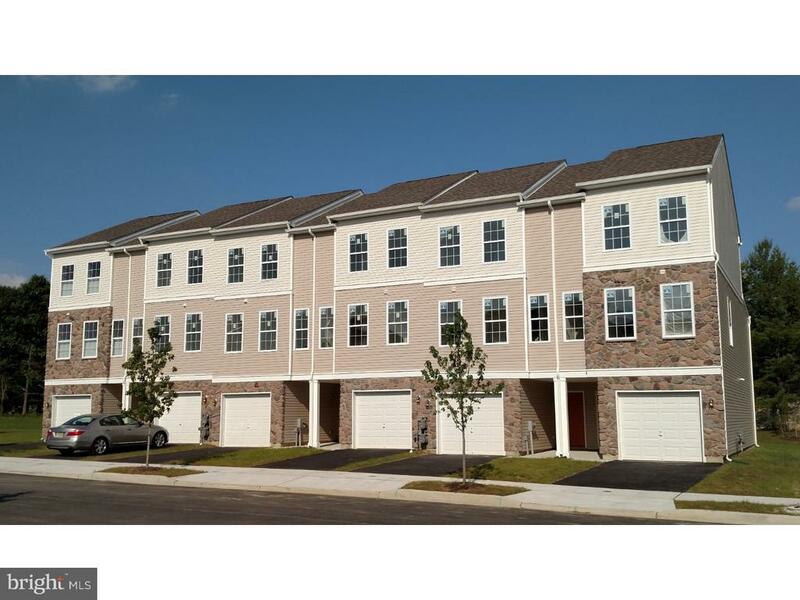 "Welcome to Cameron Circle, a quiet enclave of well maintained homes in Gloucester Twp. 38 Cameron Circle has everything you could ever need! Home is situated on the edge of a cul de sac. Beautiful hardwood floors have been installed throughout. A garage conversion has added a Family room to the layout while maintaining a large single car garage and plenty of parking space in the driveway. Fall in love with the open concept of this home! The flow from the Kitchen to the Dining and Living Rooms and easy access to the Patio and Den make this home great for entertaining. Home also features a convenient first floor Powder Room. Family Room boasts skylights, gas fireplace, vaulted ceilings and access to the Patio. Upstairs you will find three large bedrooms and two full baths. First Bedroom features a walk-in cedar-lined closet. All rooms are full of natural light from their many windows. Hallway Bathroom includes a double vanity and a raised tub-shower combo. Master Bedroom is complete with His and Hers Closets, double door entry and a private Master Bath. Large back yard is fully fenced. 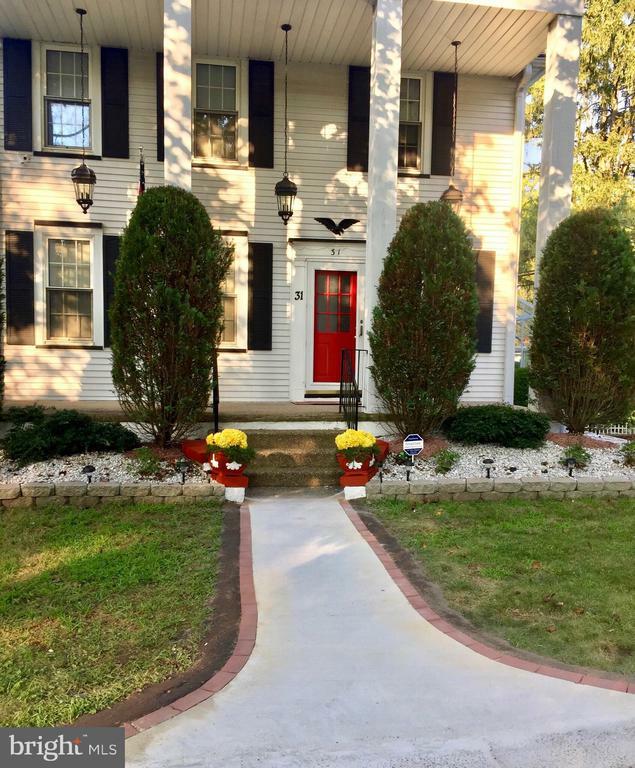 Cameron Circle is a quiet neighborhood located within very close proximity to Route 42, shopping, and restaurants." "Welcome to this cozy Village of Glen Oaks 4 bedroom 2.5 bathroom colonial. From the covered porched you entered in to this lovely home. Off the foyer sits the spacious living room, with hardwood flooring and three large front windows that let in an abundance of natural lighting. The updated eat-in kitchen is perfectly located between the family and formal dining rooms, has stainless steel appliances, recessed lighting, and cherry wood cabinets. From the kitchen you step down into the open family room with hardwood flooring, recessed lighting, a ceiling fan and a beautiful brick fireplace. From the family room you have access to the laundry room, garage and main level powder room. A glass sliding door leads you to the fenced in backyard and rear patio, perfect for entertaining all your family and friends. This home has a large unfinished basement great for, crafts, a game room or additional storage. Great commuter location close to the Atlantic City Expressway, Rt 42, and the Walt Whitman Bridge. Just a minute or two drive to the police, fire and municipal buildings, large park and playing grounds as well as shopping, gas and convenient stores. So come on by today and see your new home!" "All I can say is WOW! This home is it!! You will be greeted with a large open floor plan as soon as you walk in. The seller's have maintained this home inside and out! Wait until you see the beautiful kitchen just recently updated with beautiful granite countertops and freshly painted. This home has oringinal hardwood flooring throughout the upper level. The 3 bedrooms upstairs are very spacious and tastefully decorated. Let's not forget the newly updated main bath, love the tile and vanity! If you like to entertain, this is the home for you! The lower level has a sitting room, pool table room with a BAR and there is a study is on this level. Oh! and large storage area too!But...wait! there is more!! The backyard will leave you in awe.. Let's start with the screened in porch that overlooks the in-ground pool (opening soon). The BEST part is the open space that this home overlooks. The view is absolutely breathtaking! This home sits on the largest lot in the neighborhood. There are no words for this view, you need to come see for yourself. You will NOT be disappointed! The are so many upgrades with this home to list but the roof is BRAND NEW ( day's old)!" "This 2-Story Colonial Home is located in the sought out development of ~Glen Oaks.~ Features include a covered/open front porch that leads into the Foyer Entrance, large Formal Living Room with bay window in front, Formal Dining Room, Eat-In Kitchen with stainless steel appliances, step-down into the Family Room with brick/wood-burning fireplace with sliders leading to the backyard, 1st floor powder room and laundry room and a real bonus is the once attached garage was converted and finished into a large Great Room/Game Room with sliders in the front. The second floor offers a Master Suite plus 3 additional bedrooms and a full bathroom. The basement is half finished and the other half offers plenty of storage space along with an over-sized cedar closet. Call us today to schedule your personal tour!" "Opportunity abounds with this spacious 4284 square foot home zoned residential and commercial. The home features an open floor plan perfect for entertaining. The great room boosts a beautiful brick fireplace. The spacious eat-in kitchen opens to the family room and the dining room into the great room affording you to stay connect with family and guests while preparing your meals. The 3 bedrooms on the second floor overlook into the 2 story family room. The laundry room is located on the second floor, saving you time and effort with taking your wash to another level. The front bedroom has its own sitting room and private bath. The building and lot have tons of potential. The large parking area makes this property ideal for a business owner to work and live from the same location." "Large, two story home, Flowers are blooming!! Fresh wood flooring, and paint. Many windows. Marble flooring in Upper Bath. Eat-In Kitchen with new ceramic tile, marble backsplash. Lower level laundry. Rural looking. but close to major roads, North-South Freeway, close to Philadelphia. 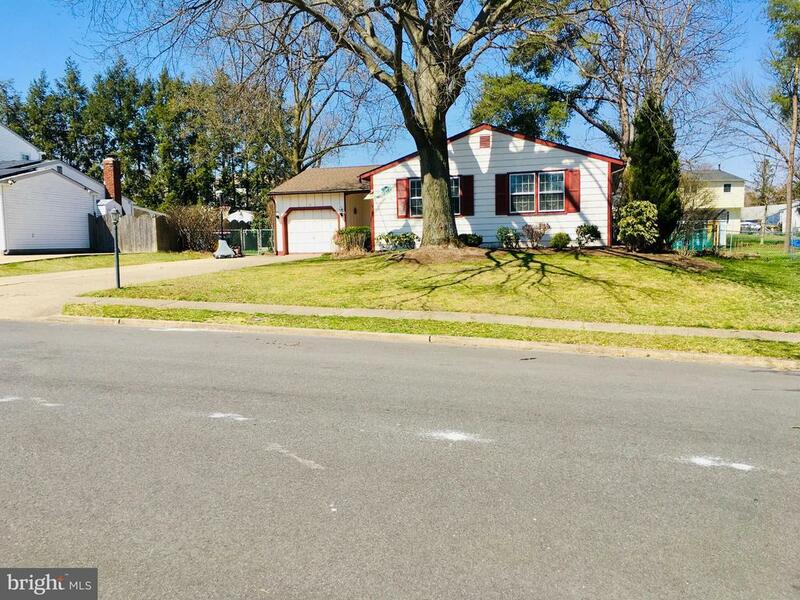 4 upper bedrooms, 2 full baths, and 1 half bath lower level. ."
"Your fabulous new home awaits in a private cul-de-sac location in the desirable Southgate Woods neighborhood. 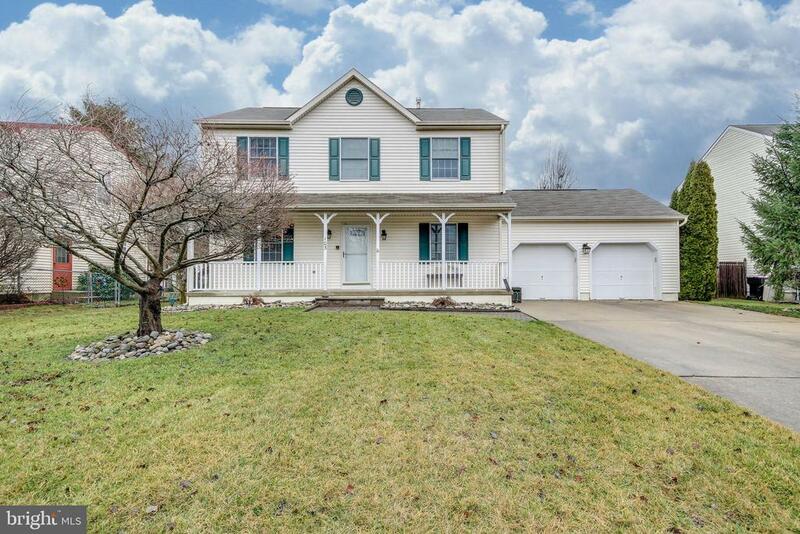 This two story colonial has updates galore and plenty of room for entertaining inside & out . Step inside to the first floor where you'll find a formal living room with beautiful hardwood floors. The family room is adjacent to the powder room, laundry & garage. The large eat in kitchen has an island and dining space. Upstairs you'll find three bedrooms with nice closet space and a full bath. The highlight of this home is the fully finished basement, ideal for any sports fan! No detail was left out in this stunning & functional space. Real brick masonry. custom trim work & cabinet storage, & a one of a kind custom bar, make this space as enjoyable as a day in the ballpark! Step outside onto the large trex deck & get ready to enjoy many summer days & nights in the three year old above ground pool. There is still plenty of space in the fully fenced yard for play. Most of the big ticket items have been recently replaced. 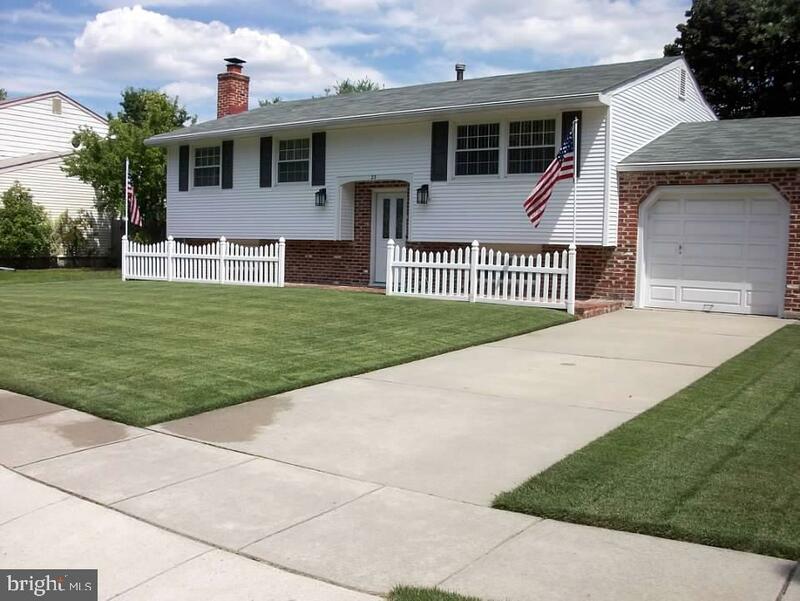 The property features a newly installed sprinkler system and the front fence was also recently replaced. New roof & siding were installed within last two years, HVAC replaced within the last 6 months. While tucked away in a quiet neighborhood, this home is conveniently located very close to local outlet shopping, dining and major highways for an easy commute to the city or anywhere you need to go.Make your appointment today to see this fantastic home just in time for a summer move & pool party!" "1,473.00 Mortgage principal and interest, taxes based on 3rd year tax abatement (first 2 years will be less), estimated insurance, and HOA. *Based on available NJ HMFA no down payment, zero down, 30 year fixed payment mortgage. Cost varies by model. Limited number of mortgages; terms and availability subject to change." "Sought after Glen Oaks Beauty hitting the market! 3 bedroom Rancher with full finished basement & 1 car garage... just in time for summer with its gorgeous inground pool and the sun porch! hardwood floors thruout, newer central air, open floorplan, stainless steel appliances & beautifully maintained yard! This one offers so much all while keeping things affordable with a value price of only $209,900." 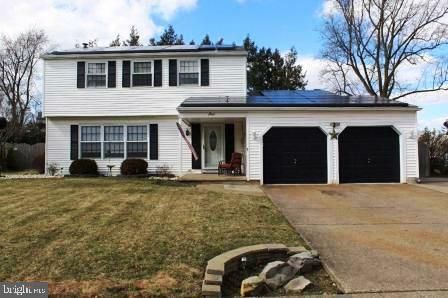 "This beautiful home is secluded away in Clementon. Upon arriving, you will notice a huge driveway with a beautiful 2 car garage that has central air! The kitchen offers a stainless steel package and has plenty of cabinet and counter space. The master bedroom has a garden tub and a separate shower. The backyard has a huge 3 level wood deck. Schedule your showing today!" 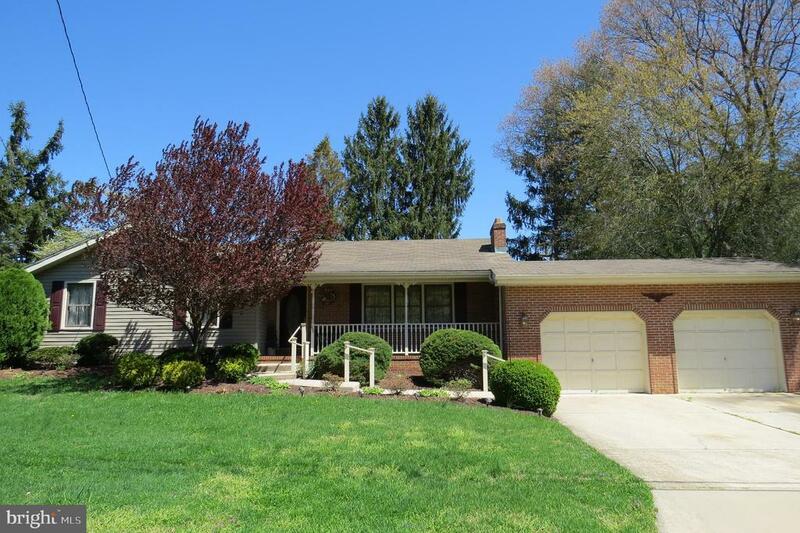 "Large 4 bedroom home in Glen Oaks with lots of upgrades. New Roof w/Solar panels, high efficiency A/C & Heater, updated electric service panel, hot water heater, kitchen appliances, and lots more. Sale is subject to seller obtaining lender short sale approval. Property is being sold in as is condition and buyer responsible for all certifications and repairs. Commission subject to short sale approval." "Are you searching for a spacious family home which offers convenient accessibility to major roadways and the PATCO speed line? This centrally located, 4 bedroom, 2 bathroom property sits on a large lot on a lovely street. 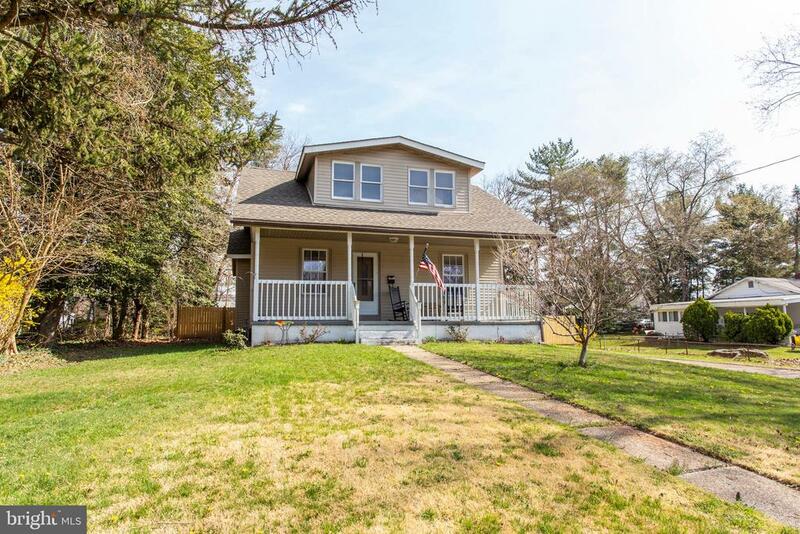 A beautiful, bungalow style home, which boasts a welcoming curb appeal. The covered front porch invites you to relax and enjoy a cool beverage. Enter the home into the bright living space featuring newer floors and freshly painted walls. Off the dining room you will find two, well sized bedrooms with ample closet space and a full bathroom. The large, updated, eat-in kitchen features white cabinets and stainless steel Samsung appliances (installed 2017). Off the back of the kitchen you will find a screened in porch overlooking the large fenced in backyard. The lower level features a finished family room, a full bathroom, and a bonus room that can be used as a guest room or an office! The upper level offers two additional bedrooms. New roof in 2017! New HVAC in 2017! 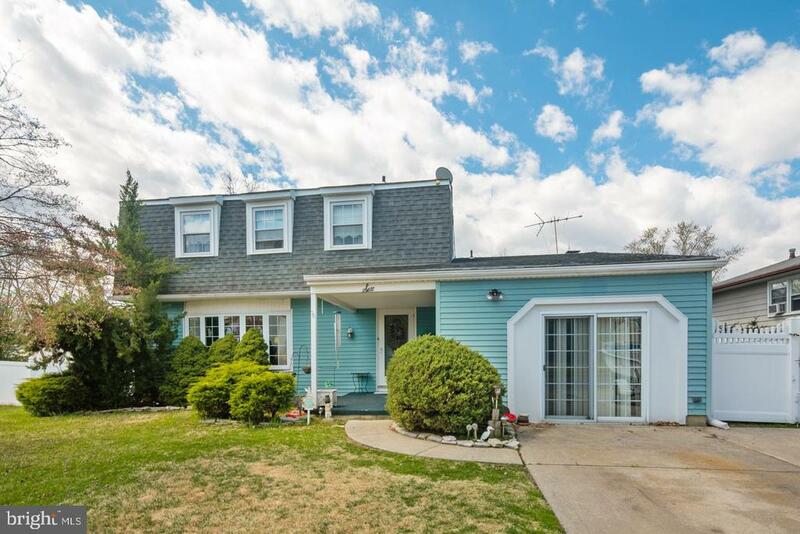 Take a walk around the corner to the lake or take a short ride to many desirable South New Jersey shopping, dining, and family entertainment destinations! Schedule your showing today!" 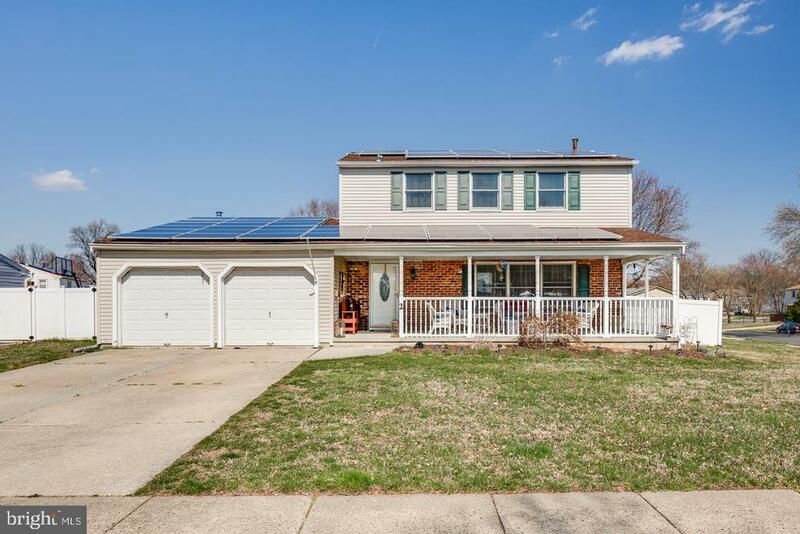 "Welcome Home to this well maintained 3 Bedroom Rancher in Clementon. Enjoy the privacy of this secluded property situated at the end of the street. This property sits on a 158x100 lot size, offering great outdoor space for summer gatherings and plenty of space for kids to play with a front, rear and side yard. Inside the property offers over 1500sqft of living space. The open living room is the central part of the house with high vaulted ceilings and a wood burning fireplace. Off to the side you have a formal dining area and a full eat in kitchen with lots of cabinet space, a breakfast bar, and full pantry. Walk down the hall and you will find a nice size 3 piece hall bathroom and 3 full size bedrooms all with ceiling fans. The master bedroom is over 200sqft with a walk in closet and separate access into the bathroom. At the end of the hall you have your laundry area and access to the attached 2 car garage. Some other great features this wonderful home has to offer are Anderson windows throughout, Rheem central heating and air system, alarm system, garage door opener, and a french drain. Property was built in 1997 and the sellers are the original owners." "Hello Glen Oaks fans.. If you're looking for a spacious home with room to roam this one may be for you. Main floor living and dining room are both of good size. 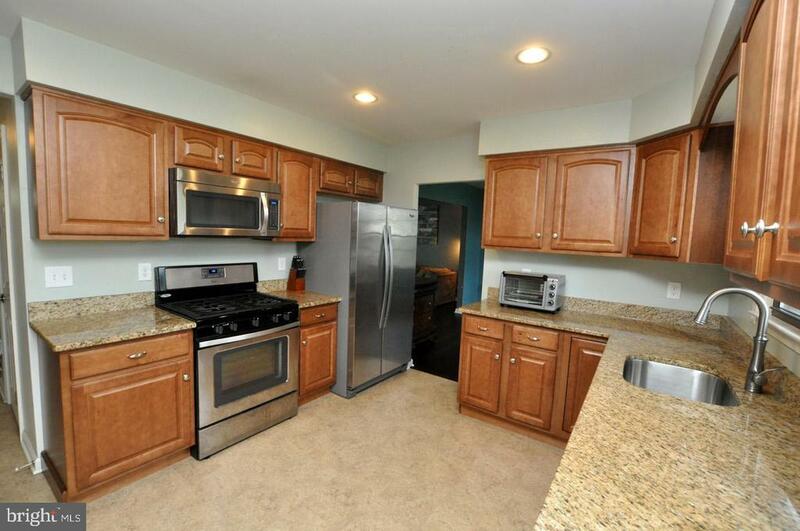 Eat in Kitchen, has been updated over the yaears as well as the appliances. Three bedrooms on this floor. Master bedroom with updated full bath, stall shower and walk in closet. Main bath has also been updated. Open space upon entering being used as an office with sliders to rear yard. Lower level FRM with open pit area, wood burning fireplace and bar. Also there's a 4th bedroom or game room your choice with cedar closet. 1/2 bath and large laundry room. 1 car garage. Huge back yard with above ground pool. All windows replaced except living room. Pull down attic for additional storage. Seller is downsizing so all contents are for sale including the little birdie and cage. He or she seller doesn't know is about 4-5 years old they said and they are open to offers on ALL items." "Wow! Check out this freshly renovated 3 bedrooms and 2 bathroom (could be 6 Bedrooms) Gem! 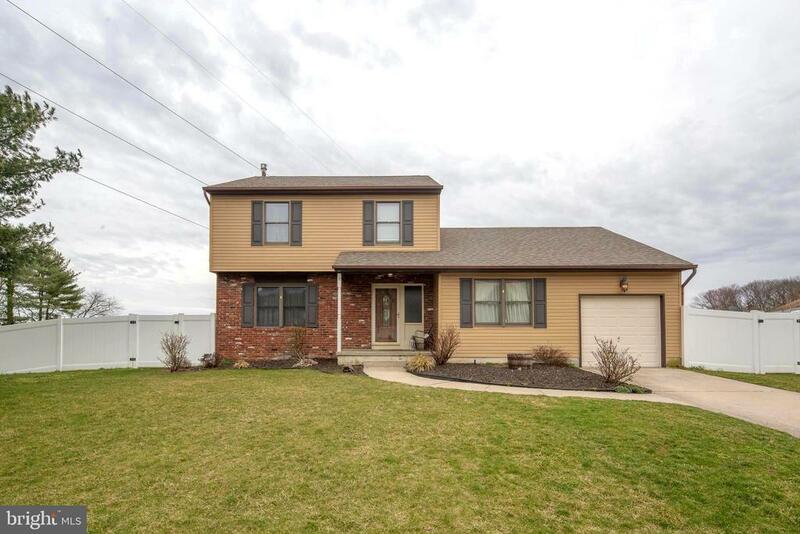 This home has brand new flooring/carpeting, new paint, new cabinets, new appliances, and a finished basement. The finished basement has 3 separate rooms as well as second living space! The property sits on the corner and has a big fenced in yard! Schedule your showing today! This property will not last!" "1,312.50 Mortgage principal and interest, taxes based on 3rd year tax abatement (first 2 years will be less), estimated insurance, and HOA. *Based on available NJ HMFA no down payment, zero down, 30 year fixed payment mortgage. Cost varies by model. Limited number of mortgages; terms and availability subject to change."